Did you know that the LinkedIn HAZUS Group has over 215+ members! LinkedIn operates the world’s largest professional social network on the Internet with more than 100 million members in over 200 countries and territories. Roughly one million new professionals join LinkedIn every week, at a rate equivalent to somebody joining the site faster than one member per second! Limited pace is available in the following Indiana Department of Homeland Security sponsored FREE courses. This course focuses on the Hazus-MH inventory. It is recommended for GIS analysts, database administrators, and others who will be responsible for migrating local data into the Hazus-MH database structure. http://www.fema.gov/plan/prevent/hazus/hz_training09.shtm. This hands-on ArcGIS 10 course is designed to empower emergency managers, planners, engineers, public safety professionals, and others with the skills needed to visualize and analyze information related to disaster mitigation, response, recovery, and risk management using ArcGIS Desktop, the product on which Hazus-MH is based. http://www.fema.gov/plan/prevent/hazus/hz_training09.shtm. To register, visit the Polis website at http://polis.iupui.edu/Training/Default.aspx. Please note that while this training is free, any travel expenses incurred as a result of attending these courses are the responsibility of the participant. 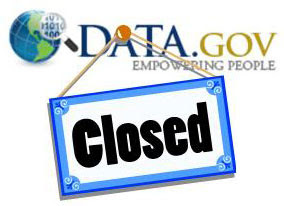 Data.gov to be discontinued !!! HAZUS.org believes that DATA.gov could be better but it is a "good start". Perhaps the government needs to address the cost of operating DATA.gov (reported to be as much as $5Mill a year!) and other factors such as duplication of content but it is downright silly to close-down operations completely. Ready access to current data and information is the core to effective disaster response, recovery, mitigation and planning.